June signifies the oncoming of the rainy season and everyone gets happy for a different reason. While some simply love to jump and splash in little mud puddles, weight loss enthusiasts could find workouts demoralizing. 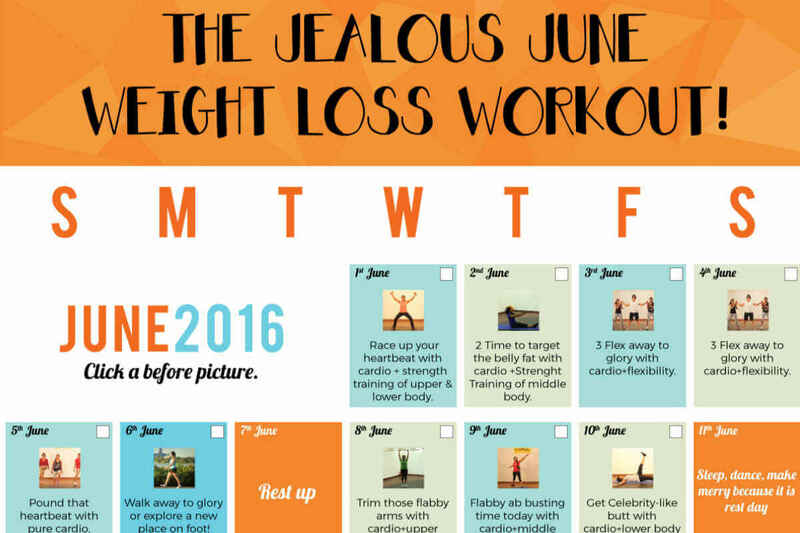 Presenting the Jealous June Weight Loss Workout regime! We assure you that by the end of this month, you are sure to be jealous worthy! Make a different calendar of sorts for the month of June with this day wise planned workout. A handy tip: take a print out and use this weight loss workout calendar instead of the boring one!